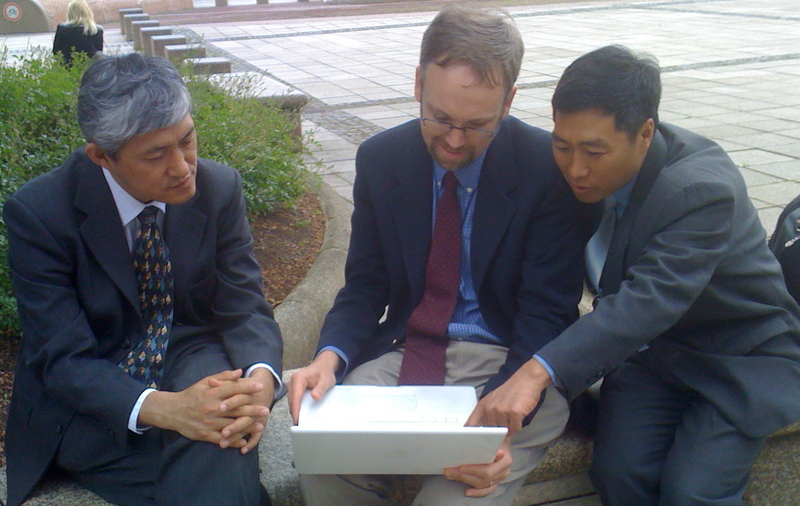 US-China collaboration on climate systems modeling at the UNFCCC meeting in Bonn today. Prof. Zhao Xiusheng of Tsinghua University, Andrew Jones of Climate Interactive, Dr. Beth Sawin of Climate Interactive, Dr. Jiang Kejun of Energy Research Institute (China). To the left, working together to see what it would take to create a 2 degree future in C-ROADS. Below is a shot of our meeting of scientists adding up pledges to calculate their climate impact, hosted by the European Climate Foundation, Mexico, and UNEP. Analysts from the EU, US, China, Japan, Brazil, and Mexico worked together to chart where we are headed and where we WANT to be headed. Feels like such an honor to be part of a community of good people who are working so hard to make the world work well in the long term.